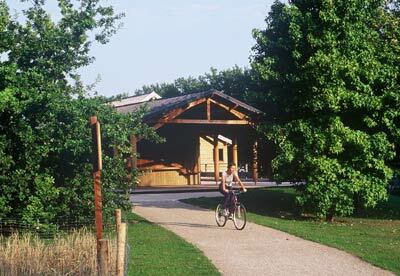 Ile Saint Denis Park : This 23 ha park is situated by the waterside. Painters found their inspiration here, and every step calls to mind the time of river boats, impressionism and popular ball rooms. A space of freedom with its flora and fauna, the park is also a place of relaxation and leisure. Animations, exhibitions and workshops are free. You will find the planning for the activities at the Park's reception pavilion, or at Green Spaces Management. December 1st - December 30 th : 8h30 - 17h30 Animations, workshops and exposures: free. Calendar of the events available at the reception's House (01.48.13.14.49) or Parks'Management (01.43.93.77.15). Refreshment stall and sweet shop, Band stand, Children's playground, Children's workshops, Pedagogical presentations, Carpark arranged, Exhibition visitation. A86 Motorway: Asnières/Villeneuve exit La Garenne (N° 6 and 7).